Abstract - This project presents the device which is actually a bridge between the android and the storage device. 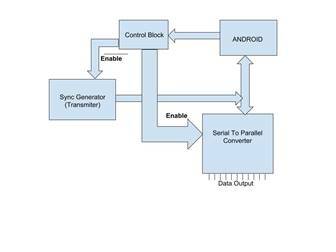 This device communicate serially with the android and act as a Android debug Bridge. The Internet of Things (IoT) is the network of physical devices, vehicles, home appliances and other items embedded with electronics, software, sensors, actuators, and connectivity which enables these objects to connect and exchange data.Each thing is uniquely identifiable through its embedded computing system but is able to inter-operate within the existing Internet infrastructure.The IoT allows objects to be sensed or controlled remotely across existing network infrastructure,  creating opportunities for more direct integration of the physical world into computer-based systems, and resulting in improved efficiency, accuracy and economic benefit in addition to reduced human intervention.When IoT is augmented with sensors and actuators, the technology becomes an instance of the more general class of cyber-physical systems, which also encompasses technologies such as smart grids, virtual power plants, smart homes, intelligent transportation and smart cities. "Things", in the IoT sense, can refer to a wide variety of devices such as heart monitoring implants, biochip transponders on farm animals, cameras streaming live feeds of wild animals in coastal waters, automobiles with built-in sensors, DNA analysis devices for environmental/food/pathogen monitoring,or field operation devices that assist firefighters in search and rescue operations.Legal scholars suggest regarding "things" as an "inextricable mixture of hardware, software, data and service". As this usage of IOT devices are increasing day by day it is an essential need to build a device which could do the work of android debug bridge for variety of devices. It's not possible to integerate the android debug bridge in each devices because some devices might have low performance. So to get over this problem this Asynchronous Device comes into existence. A client , which sends commands. The client runs on your development machine. You can invoke a client from a command-line terminal by issuing an adb command. A daemon (adbd) , which runs commands on a device. The daemon runs as a background process on each device. A server , which manages communication between the client and the daemon. The server runs as a background process on your development machine. This bridge is inplemented as a hardware device which has the same function. Following is the block diagram for this device. In telecommunication and data transmission, serial communication is the process of sending data one bit at a time, sequentially, over a communication channel or computer bus. This is in contrast to parallel communication, where several bits are sent as a whole, on a link with several parallel channels.Serial communication is one of the simplest ways of communication between a microcontroller and PC or vice versa. It requires only single wire for transmission of a data and another for receiving.This communication can be used for controlling the robot from a PC manually or the computer program controls it.In telecommunication and data transmission, serial communication is the process of sending data one bit at a time, sequentially, over a communication channel or computer bus. This is in contrast to parallel communication, where several bits are sent as a whole, on a link with several parallel channels. The practical application of the serial-in/parallel-out shift register is to convert data from serial format on a single wire to parallel format on multiple wires. Perhaps, we will illuminate four LEDs (Light Emitting Diodes) with the four outputs ( QA QB QC QD ). In standard-definition applications, a bi-level sync signal, often with a colorburst signal in facilities that have analog equipment.. As the resulting signal is usually indistinguishable.In some high-definition applications, a 'tri-level sync' signal is used instead. In this block we have one output going through not gate and one simply passing the input signal. 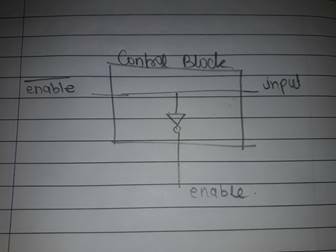 As the serial to parallel conversion is done input signal goes high and disable the conversion block and enables the Sync generator block. This is how we can switch between reading and writing modes. The device is simmulated in NGSPICE and ouptut is observed as above.